There has been little evidence to support the hypothesis that diagnostic substitution may contribute to increases in the administrative prevalence of autism. We examined trends in assignment of special education codes to British Columbia (BC) school children who had an autism code in at least 1 year between 1996 and 2004, inclusive. 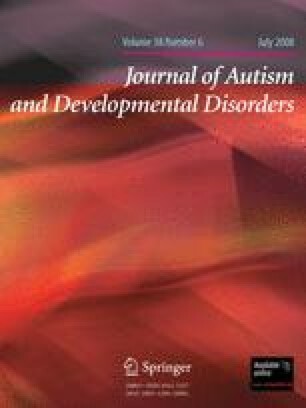 The proportion of children with an autism code increased from 12.3/10,000 in 1996 to 43.1/10,000 in 2004; 51.9% of this increase was attributable to children switching from another special education classification to autism (16.0/10,000). Taking into account the reverse situation (children with an autism code switching to another special education category (5.9/10.000)), diagnostic substitution accounted for at least one-third of the increase in autism prevalence over the study period. We wish to thank Ms. Nancy Walt, Ms. Caroline Ponsford and Ms. Claudia Roch of the British Columbia Ministry of Education, and Dr. Victor Glickman, Director of Edudata Canada, for providing us with access to the information resources of the British Columbia Ministry of Education through Edudata Canada that were integral to this study. We also wish to thank Ms. Sarah Moffat, a Psychology student at Queen’s University, for her assistance with the preparation of this manuscript. We are grateful to the members of the Autism Spectrum Disorders-Canadian-American Research Consortium (ASD-CARC; Jeanette J.A. Holden, Principal Investigator) for their work on the grant proposal that led to the funding of this and other ASD-CARC projects, and to other members of the ASD-CARC Epidemiology Project team for their contribution to the overall project. Members of these groups are listed on the ASD-CARC’s website at http://www.autismresearch.ca. This work was supported by a CIHR Interdisciplinary Health Research Team grant (RT-43820) to the ASD-CARC. Dr. Suzanne Lewis sincerely appreciates the support provided by the CIHR Institute of Genetics Clinician Investigator (2003–2005) and the Michael Smith Foundation for Health Research Scholar Programs (2005–2010). The findings and interpretations expressed herein are those of the authors, and do not necessarily reflect the opinions of the British Columbia Ministry of Education or of Edudata Canada.